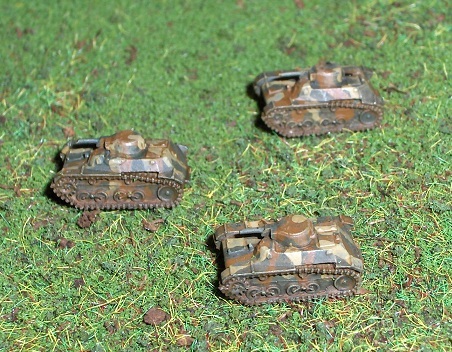 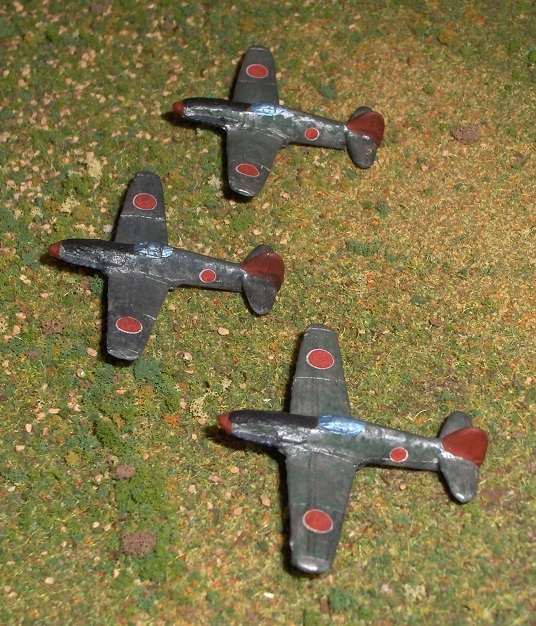 These shots are too washed out, but the paint job and weathering on these models is some of my best work. 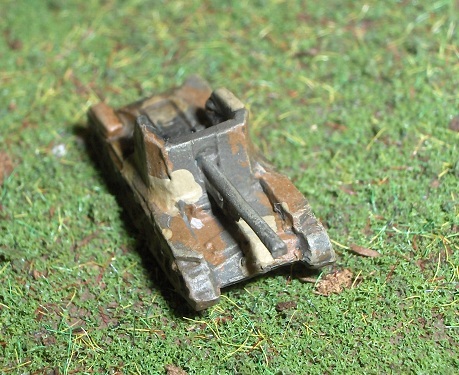 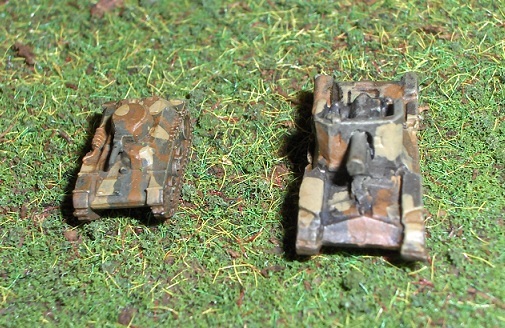 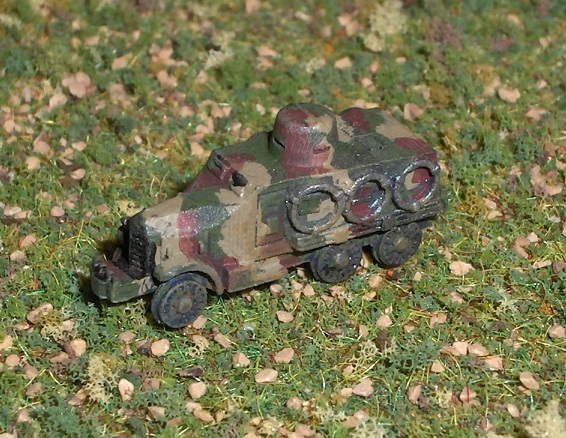 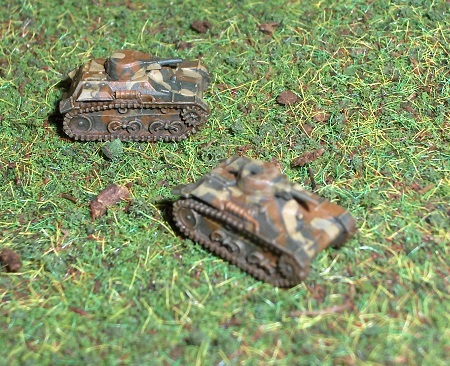 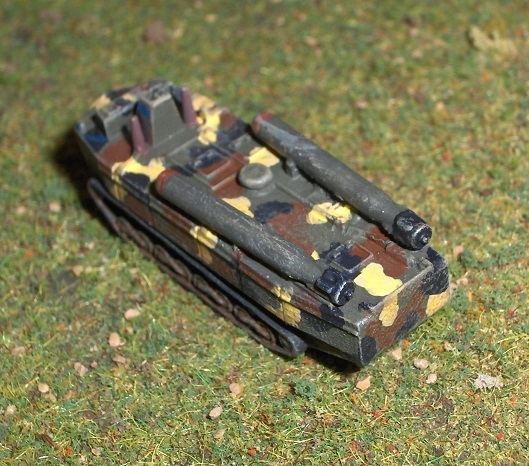 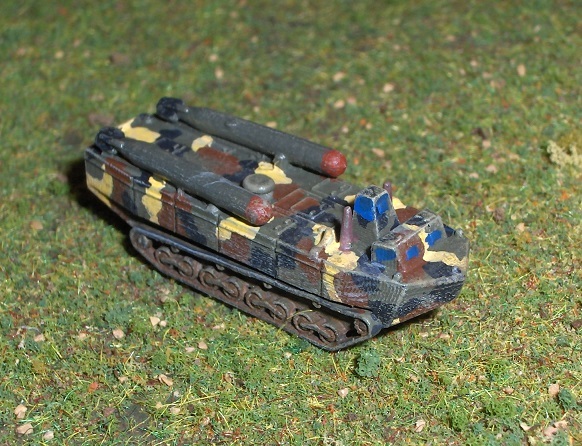 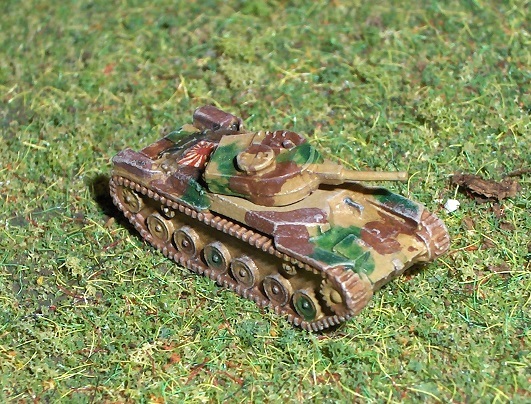 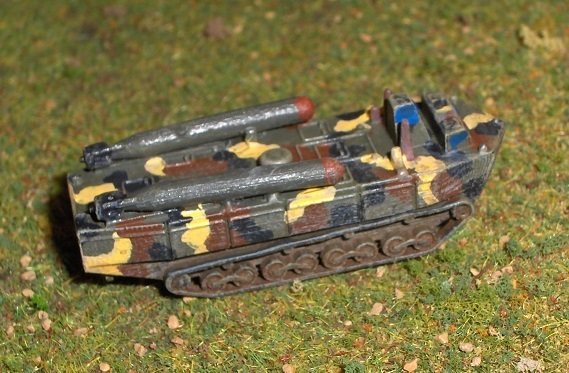 Amphibious tank, with and without floats, from an unknown maker. 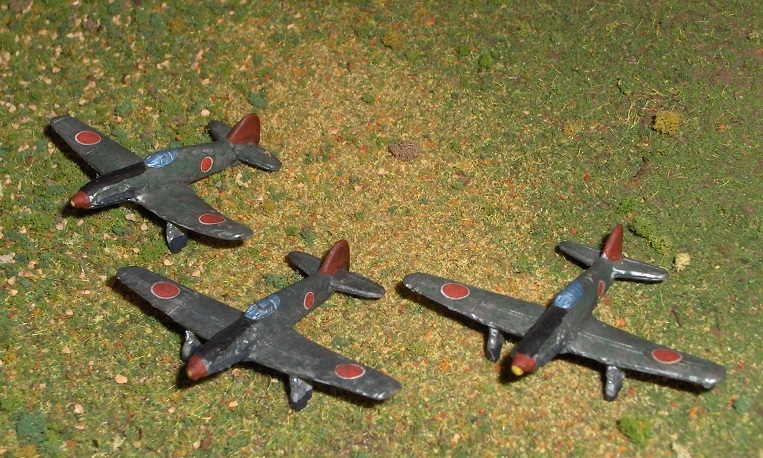 I attempted to paint rising sun flags on them to make a bad model better, but it didn't really work. 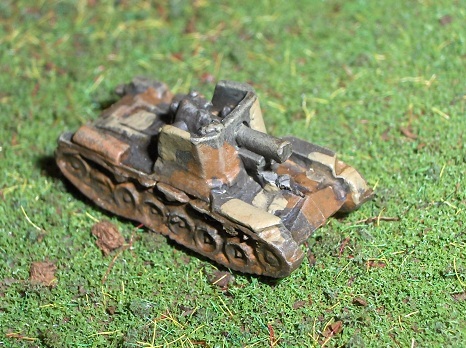 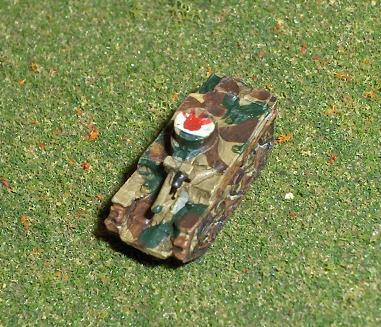 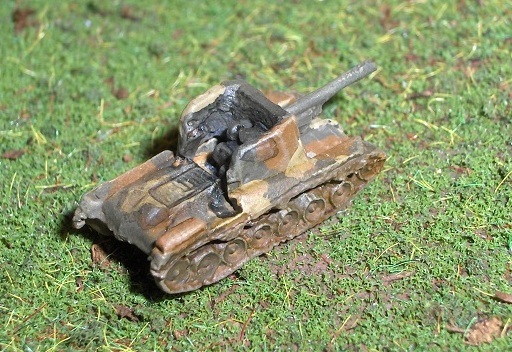 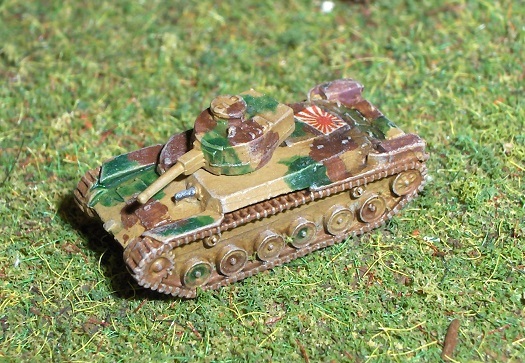 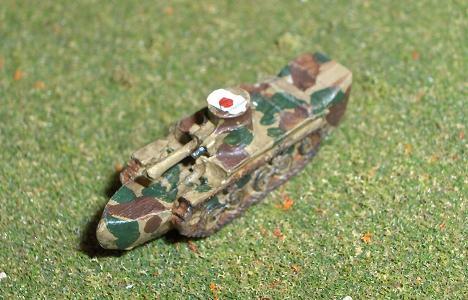 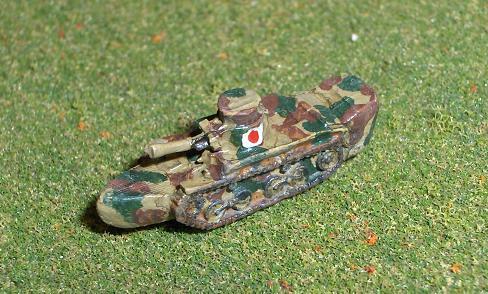 Late war tank destroyer from Scotia. 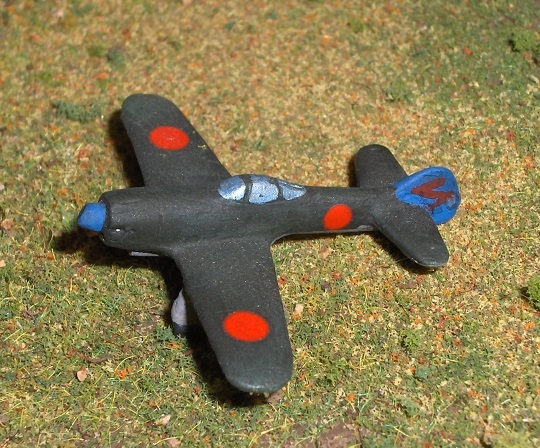 A bit of a rough model. 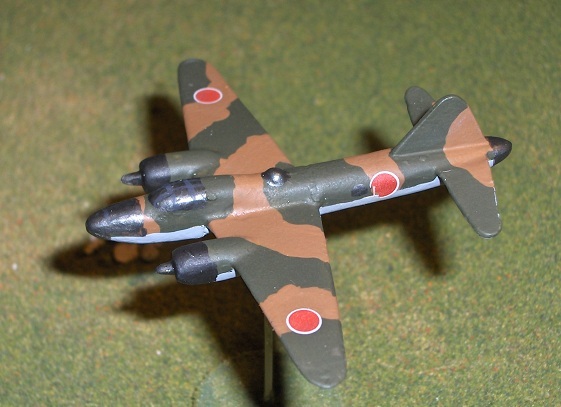 Originally designed as an amphibious transport, the Japanese attempted to alter it as a torpedo-carrying assault craft, to be launched from submarines to assault US ships at anchorage. 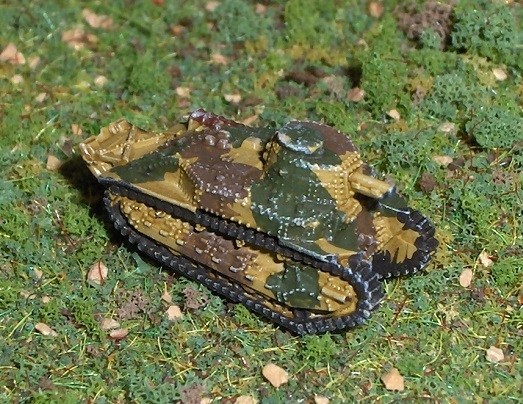 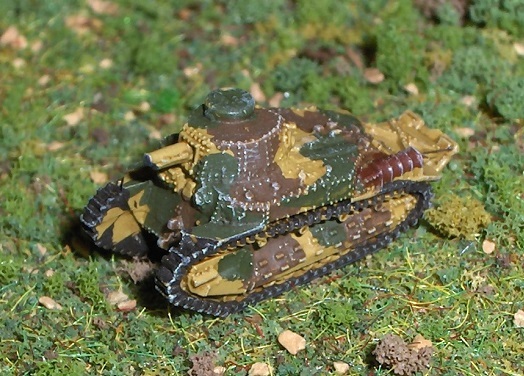 An excellent, and large, model from Masters of Military. 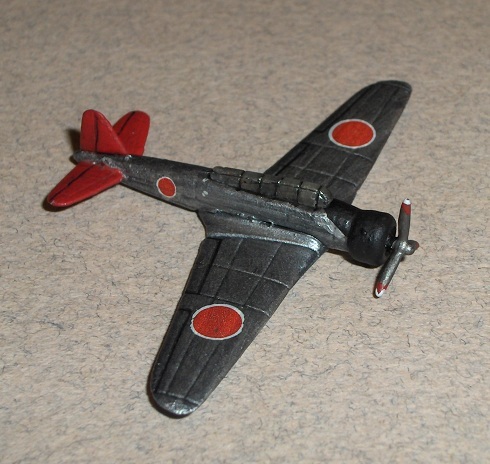 This is a tiny little model and I had difficulty picking out the details. 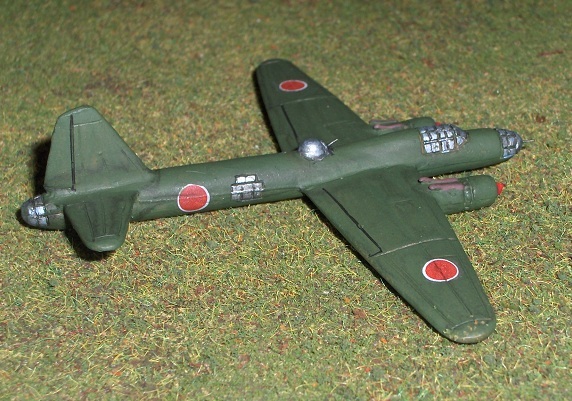 Skyraider/Skywarrior model, decals from I-94 Enterprises. 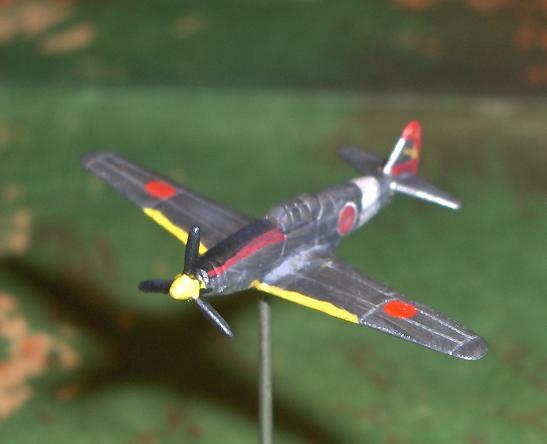 Not much detail on the model. 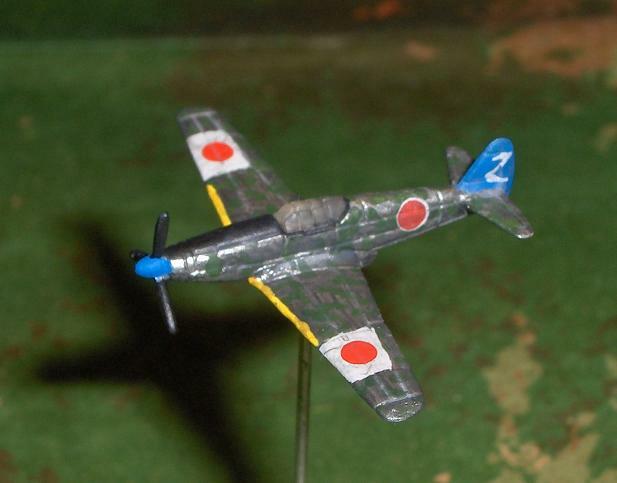 Several other version of the same model in some of the wide variety of paint schemes the aircraft appeared in. 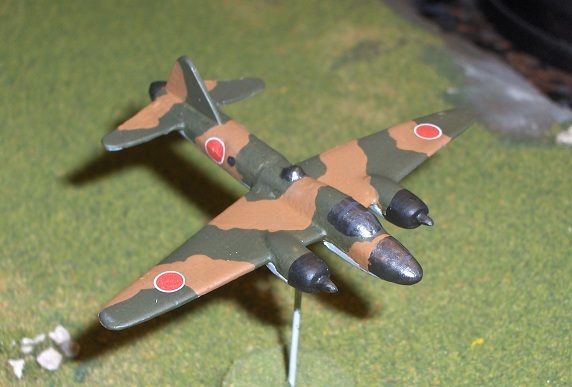 Japanese medium bomber from Skyraider/Skywarrior. 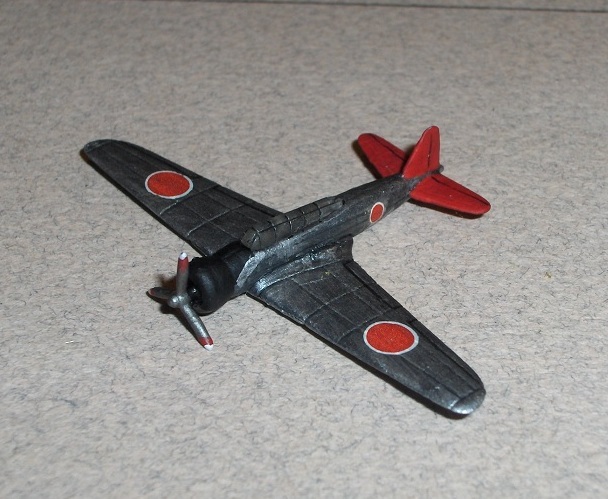 Again, not a lot of detail, and a lot of filling was required to hid joints. 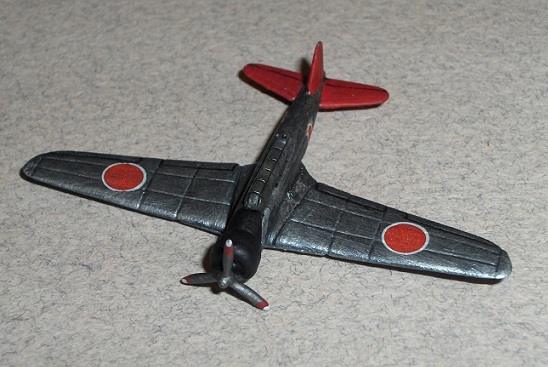 I used plain old lightweight wall spackle. 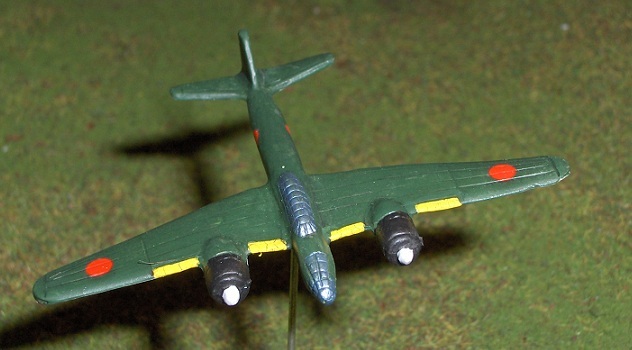 This is the ISM version of the "Betty" -- and it is vastly superior (but nothing like as good as the GHQ model released in late 2012). 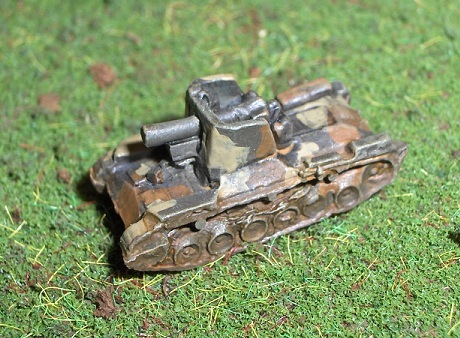 The machine guns are brass wire. 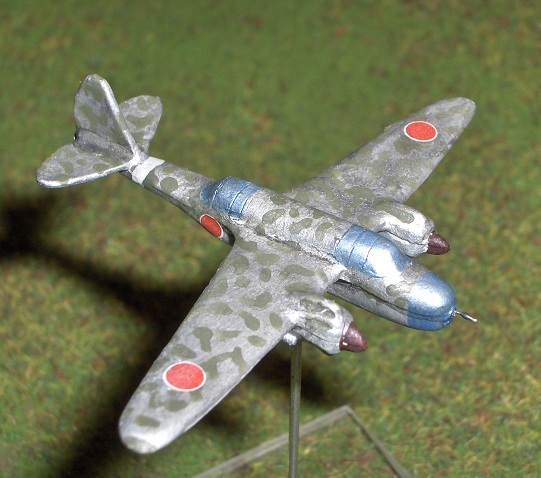 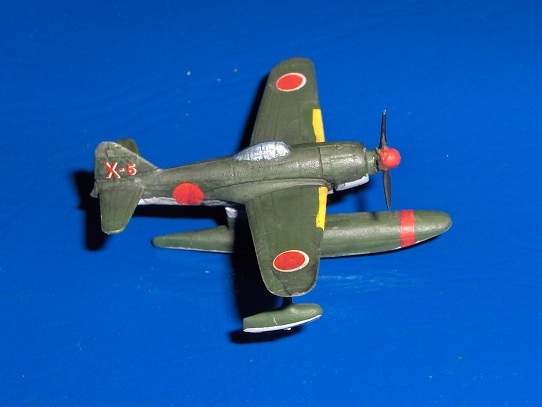 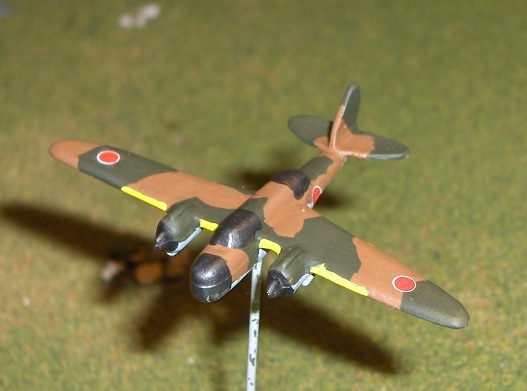 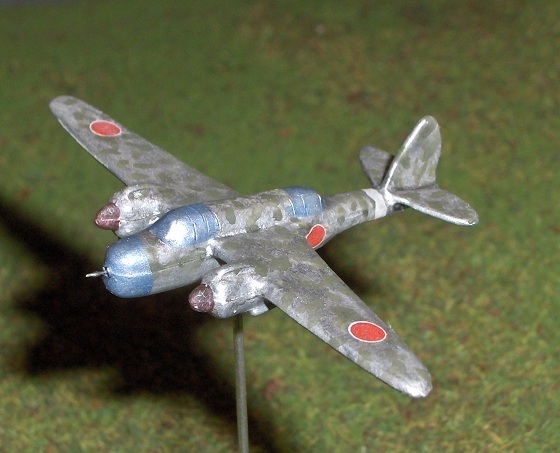 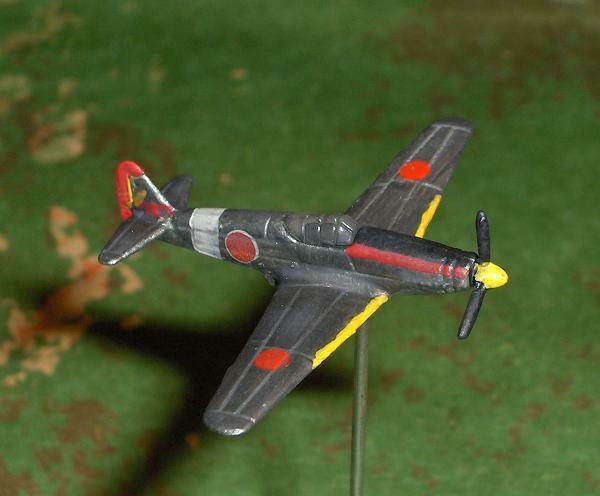 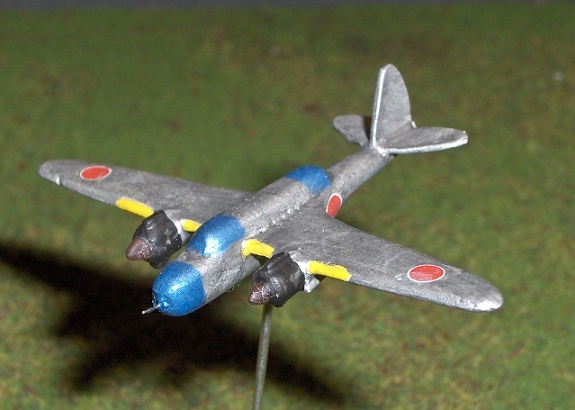 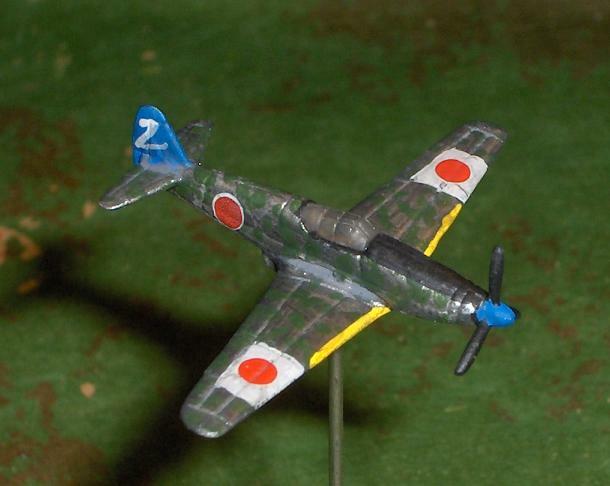 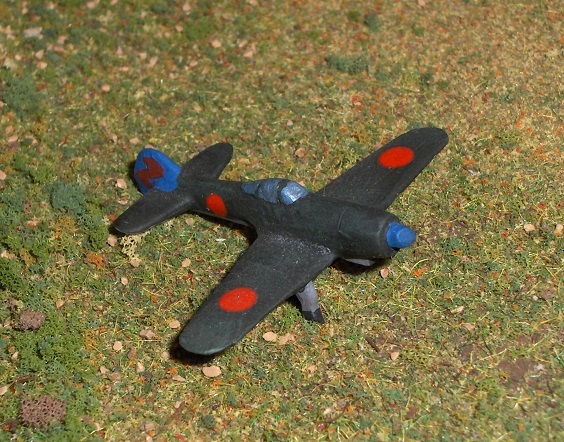 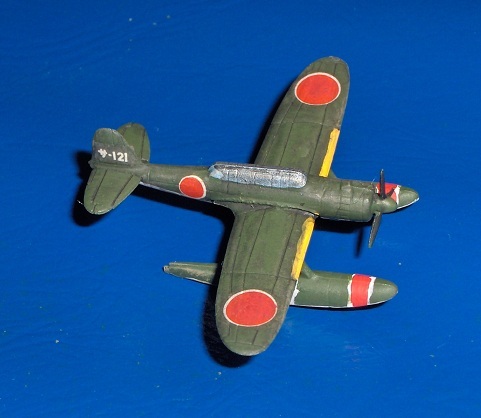 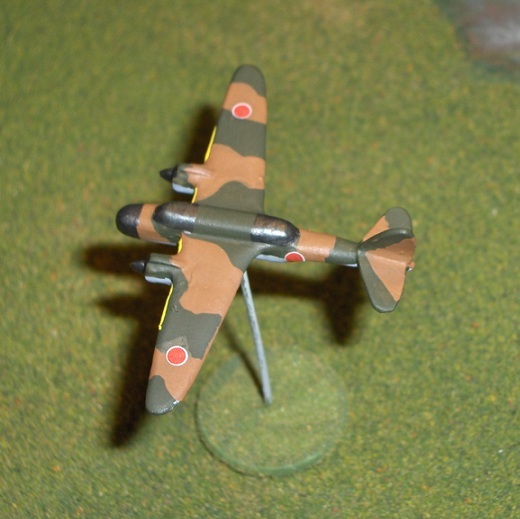 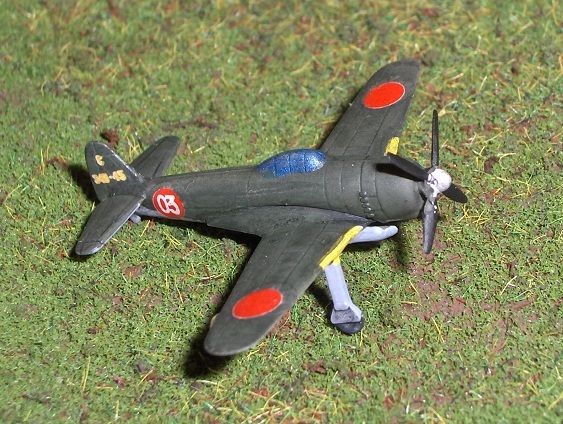 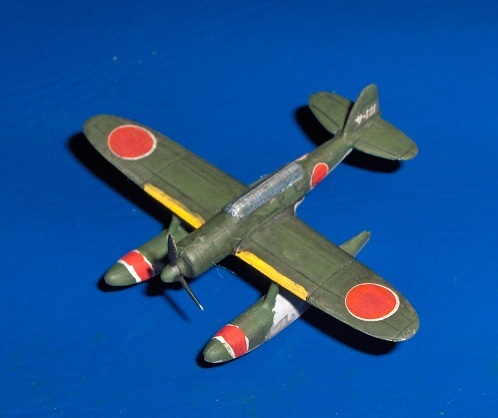 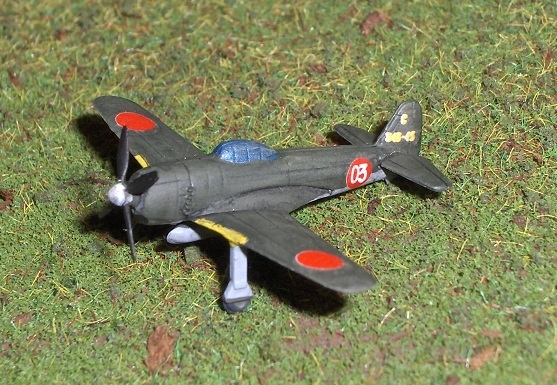 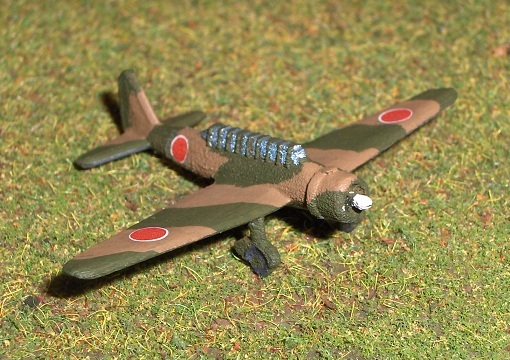 An interesting model of a rare Japanese heavy bomber from ISM. 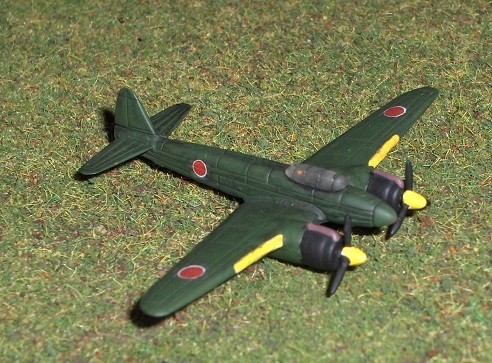 A plastic 1/300 kit from Nichimo, quite a good model with excellent decals. 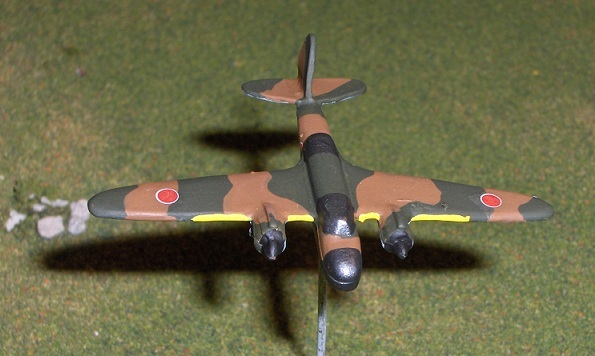 This is the seaplane version of the "George," codenamed the "Rex." 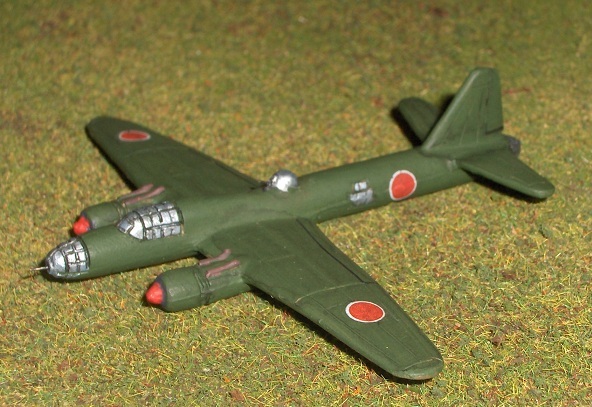 It was, in fact, one of the most frustrating models to build, for whatever reason. 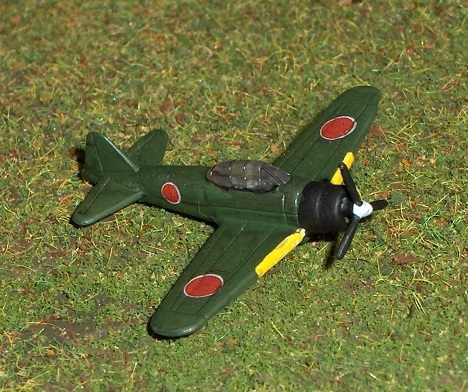 It is also by Nichimo. 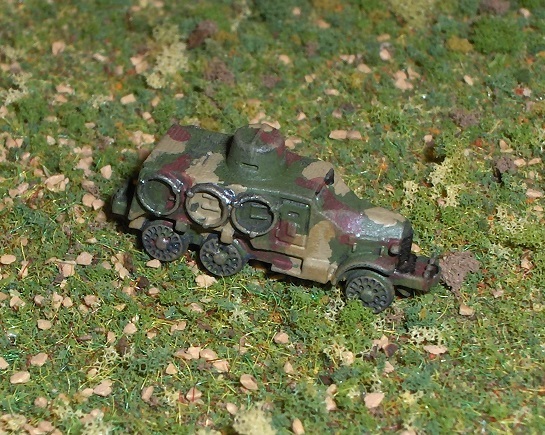 The dcals are from the kit. 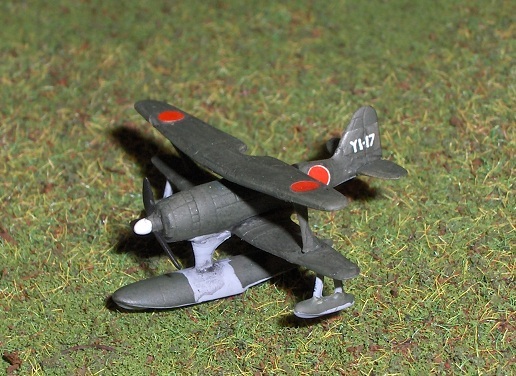 Mitsubishi Type 0 Seaplane "Pete"
Another seaplane, this version from Nichimo -- a fine kit. 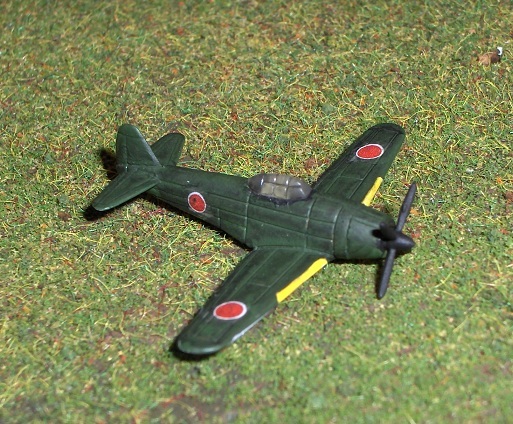 The decals are from the kit. 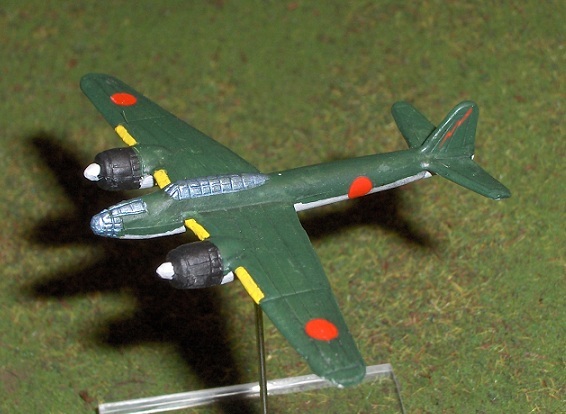 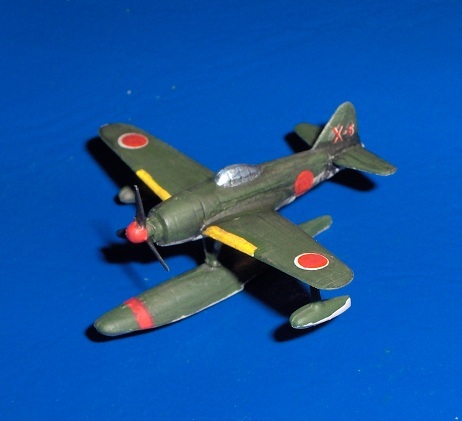 Type 97 Nakajima B5N "Kate"
Japanese carrier bomber from a chinese manufacturer, Yuijin, in plastic. 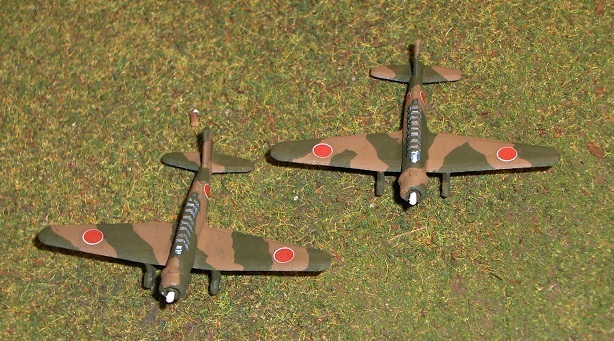 I-94 decals. 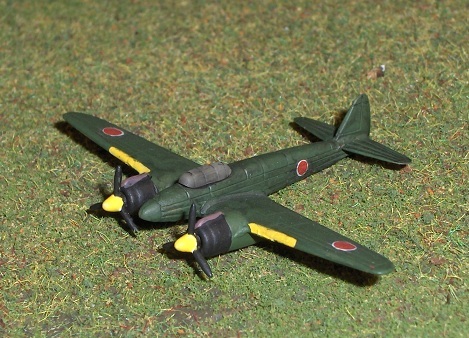 This is the Yuijin plastic model of this famous aircraft, and it is quite good.